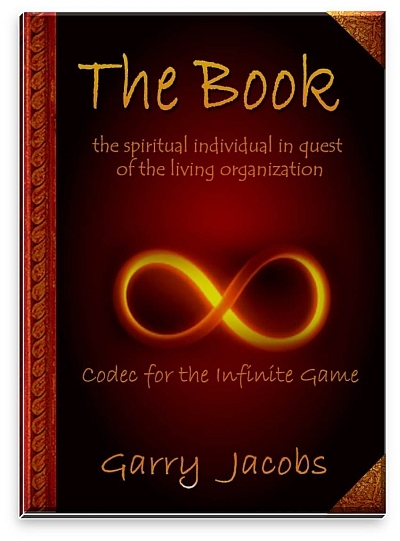 The Book is a spiritual thriller, a journey to self-discovery, an adventure of consciousness, a revelation of occult truths, and a practical guide for highest accomplishment. This novel presents basic principles of Sri Aurobindo’s Life Divine, the character of life and human accomplishment in the context of a fictional story. Four technocrats armed with a mysterious manuscript, a secret formula and a radically new computer program battle a conspiracy of entrenched reactionary forces in a global struggle to determine humanity’s future. An idealistic Indian marketing wizard, a timid but brilliant Jewish idealist from Boston, a strikingly beautiful Russian mathematician and a monk-like Irish American philosopher-engineer embark on a mission to change the world. A book without author or title roams the earth for decades, silently unleashing revolutionary change, until it finds these four failed entrepreneurs and inspires them to create a radical artificial intelligence program, AIS, an instrument for unfailing accomplishment. Their personal struggle to decipher the book’s contents and discover the secret formula for its application lead them on a profound spiritual exploration of knowledge that is power – until they stumble upon the occult process of creation and the formula for infinite self-multiplication. Pitted against them is an alliance of forces seeking to maintain their grip on the world’s power. Two titanic personalities battling for the mind and soul of humanity alone understand what others have barely glimpsed. The book and the program hold the key to humanity’s future. And behind them stands Life, the whimsical goddess of fate and grace, composing her symphony out of irreconcilable contradictions, raging conflict, unbridled passions, lofty aspirations and binding values to work out her own destiny according to her own evolutionary laws. Four technocrats in quest of the formula for unfailing accomplishment embark on a remarkable voyage of self-discovery. A mysterious manuscript without author or origin containing the ultimate secret to infinite power. A mathematician pursues the elusive formula for eternal romance. An aging professor silently orchestrates a global revolution. Governments, religion, science and fanaticism allied in a global conspiracy. A secret society tries to monopolize the knowledge that is power. A clash of titans vying for the world’s soul. Truths of a forgotten science reveal hidden patterns in chance events. A Game played by adepts invokes a Descent of power. C'est la vie is a French expression meaning ‘Life is like that’. Does Life really have a character? Science lacks a conception of universal Life. It affirms only Chance and Necessity, universal laws and pure coincidence combining in some chaotic manner. But perceptive individuals know differently and perceptive writers reveal something of life’s character through their stories. That is why Shakespeare was so aptly described as a “Seer of Life”. This novel is the story about a book, four entrepreneurs and a company. It is also a story about the character of life -- c'est la vie.